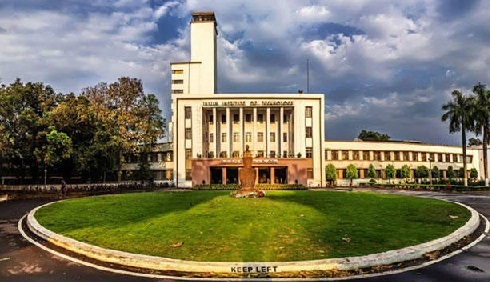 West Bengal: Now IIT Kharagpur is going start a genomics laboratory facility for students from all the branches of engineering, a statement said on Friday. The main objective of this genomics laboratory is to teach all the students at the second year the basic techniques of life sciences that will include microscopy-based observation, molecular biology, protein structure and function and lastly, bioinformatics. The third year onwards they will be allowed to plan and execute experiments by their own under the mentorship of faculties from Biotechnology, Bioscience, Chemistry, Medical Science and Technology and Computer Science and Engineering. Though there are few laboratories of similar nature abroad, this will the first time of its kind in India said Sudip K. Ghosh of the Biotechnology Department who will be heading this lab. In addition to the genomics laboratory, IIT Kharagpur also plans to collaborate with Tata Medical Centre in education, research and outreach programmes in the field of interdisciplinary medical research. The primary objective is to promote interaction and collaboration between faculty, medical professionals and students of the two institutions to carry out joint academic and research programmes, joint supervision of undergraduate, masters and doctoral students on a reciprocal basis, and collaborative research projects. The integrated M.Sc.-Ph.D. programme which has been planned will focus in its first phase on medical physics, nuclear medicine and molecular medical microbiology. The programme which would be jointly developed by both institutions, will involve students spending at least one semester in each institute with joint supervision by faculty and scientists of both institutions. The degree will be awarded by IIT Kharagpur.